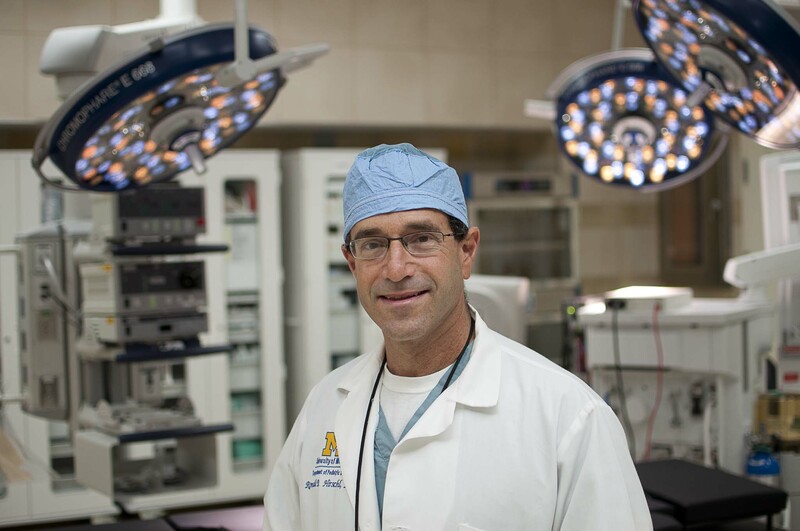 Your generosity creates a positive ripple effect from our community to the world when you support pediatric surgery at the University of Michigan, where care changes lives and new knowledge improves the way doctors practice medicine. With your help, we will continue the fight to cure pediatric cancer, to reduce the effects of severe birth anomalies, and to improve care for the youngest and most vulnerable patients. Through our research and training programs, we’ll create new technologies and approaches to pediatric surgery and impart that experience and knowledge to the next generation of surgeon leaders. The Fetal Diagnosis & Treatment Center (FDTC) at the University of Michigan is a multi-disciplinary endeavor directed by George Mychaliska, MD and devoted to the care of mothers and their unborn babies. The Center provides state-of-the-art fetal diagnosis, counseling and treatment for birth abnormalities supported by leading-edge basic science and clinical research focused on understanding fetal abnormalities and discovering novel treatment options. The goal of the FDTC is to provide mothers and families with comprehensive care for at-risk babies before, during and after birth. The Solid Tumor Oncology Program at University of Michigan C.S. Mott Children's Hospital is one of the nation's largest multidisciplinary programs caring for children with solid tumors. Led by Erika Newman, MD, this program helps children and their families battle neuroblastoma, Wilms Tumor, Ewing's sarcoma and pediatric melanoma. To complement and improve on these efforts, our researchers are also exploring the use of immunotherapy and other effective ways of treating childhood cancers. The Extracorporeal Membrane Oxygenation (ECMO) Clinical & Research Program has successfully treated thousands of children with lung failure when there was no other option for survival. The ECMO research program, directed by Ron Hirschl, MD, and Jonathan Haft, MD, is focused on developing additional artificial organs that can be used as bridges to wellness or transplantation. The Intestinal Failure Research & Treatment Program is the only comprehensive program of its kind in Michigan. 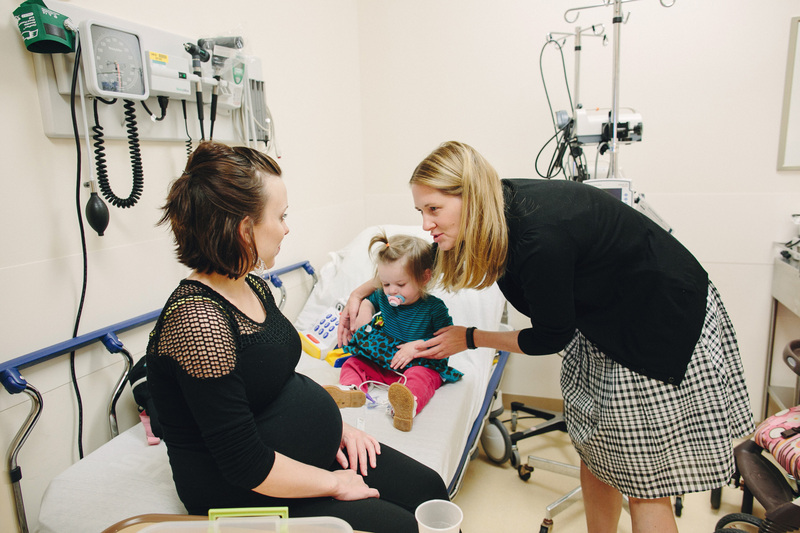 Our research efforts, driven by Meghan Arnold, MD, focus on avoiding the complications of intestinal failure, facilitating physical growth through improved absorption of nutrients and developing new modalities to treat short bowel syndrome. Our physicians, nurses, dieticians, and pharmacists provide life-saving care to severely affected infants and children with the devastating loss of functioning intestine. Minimally Invasive Surgery at Mott Children's Hospital, driven by Pediatric Surgeon Marcus Jarboe, MD, and James Geiger, MD, promotes small incisions, shortened hospital stays, less pain for pediatric patients and greater precision for our skilled surgeons. With a relentless focus on optimum outcomes for each patient, our philosophy is that if a procedure can be performed effectively and with a superior experience for the child using minimally invasively techniques, it should be. Congenital Diaphragmatic Hernia (CDH) is a devastating congenital problem that results in a 30-40% death rate among otherwise healthy newborns. 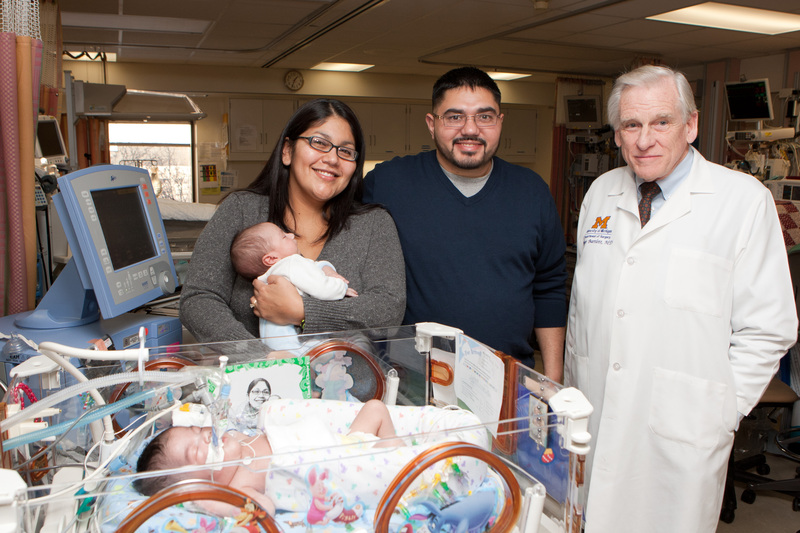 Ronald Hirschl, MD, and the University of Michigan are leading the way with our unique treatments and approaches to promote the much needed lung growth in newborns with CDH. Our objective is to reduce mortality by establishing the first clinical and research program for CDH in Michigan. The Injury Prevention Program at C.S. Mott Children's Hospital is the home of unique injury prevention research focusing on effective car and booster seat use, playground safety and best practices in safety. 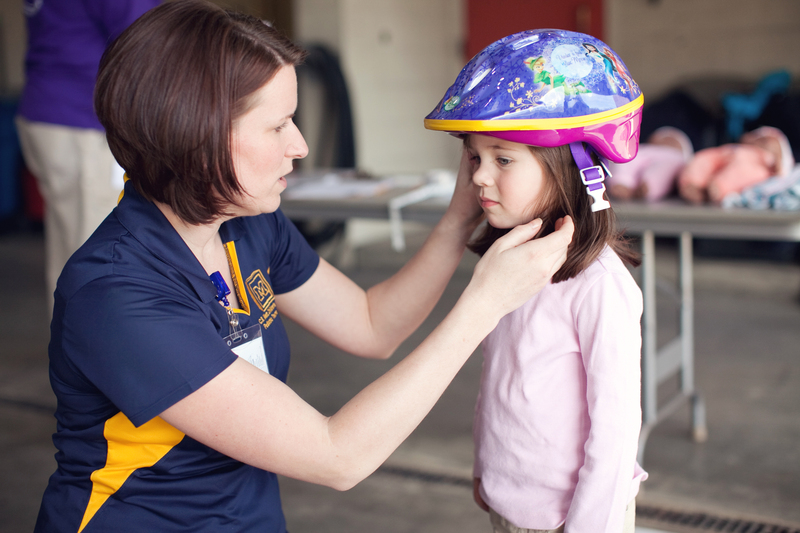 In addition to research, we promote safety in the Washtenaw and Livingston County areas by coordinating the efforts of schools, health-care providers, and police and fire departments through Safe Kids Huron Valley, the Mott Buckle Up! Car Seat Program and other community outreach activities. This effort is directed by pediatric surgeon Peter Ehrlich, MD and the Pediatric Trauma staff. For more information about specific medical research, or to contribute directly to a specific pediatric surgery lab, educational endeavor or clinical effort, please contact the Office of Surgery Development.